The material covers transmission lines, scattering parameters, couplers, amplifiers, oscillators and phase-locked loops in a novel way by introducing examples from daily life prior to the introduction of the theory. Microwave tools such as Smith charts, scattering parameters and signal flow diagrams are dealt with thoroughly and are fully integrated in the numerous examples throughout the text and with PUFF. 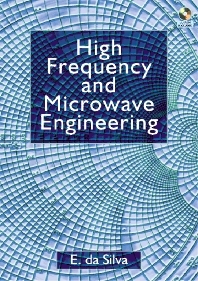 High Frequency and Microwave Engineering is intended as an advanced undergraduate text for students of electrical and communication engineering, and is also eminently suitable for self-study and as a manual for those in the industry wishing to update their engineering skills. Senior electronic engineering and communication engineering undergraduates. Professionals needing to update their radio engineering skills. Basic features of radio communication systems Transmission lines Smith Charts and scattering parameters Puff software Amplifier basics High frequency transistor amplifiers Microwave amplifiers Oscillators and frequency synthesizers Further topics * Book references.